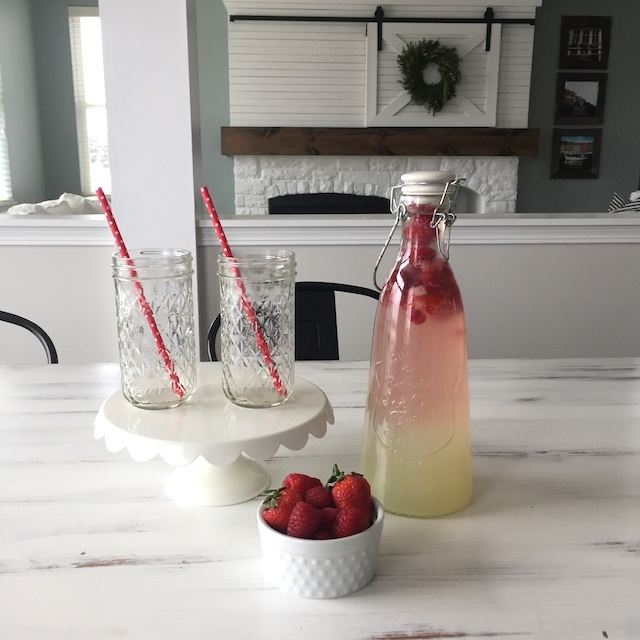 We love sparkling water at our house-my husband loves it plain, I love adding fruit to it. While we were on Whole 30, we always made "pop" with 100% juice and sparkling water. These little spritzers are perfect for a Valentine's day meal or special treat. Adding a little cut up fruit to an ice tray and freezing it can make fun little ice cubes for your spritzers. Let the frozen lemonade thaw a little so that it can easily mix with the sparkling water. Add it by tablespoons to your sparkling water until you get the right consistency you like. Add the fresh or frozen fruit and enjoy! It's best served right away so that there's more carbonation.